I like it down this neck of the woods, I remain undisturbed on the most part, which for a solitude seeker is a must and I can also fish in to dark. Being a relatively new stretch to me I’m still on that learning curve though.The last session, 2 chub caught quickly, half decent, both over 4lb, the biggest going 7 ounces over, I was expecting something even bigger as dusk, it was going that well. It never came though, an hour in to dark, plucks and pulls but no more fish. That was the end of that…. It wasn’t though, I was mulling something over, something I saw during that session that kept on troubling me. You see, just prior to sun down the chub were active in the swim, nothing unusual in that you say, well no but a fish surfaced with his back out of the water, fins and all, no more than 6ft away and it had some really odd proportions. The body was stubby in length, in plan view its front half massive in width, the rear, well it looked like the humdrum, a normal Chevin. But its head didn't seem to be matched to his body. Definitely in the freak or unique category. 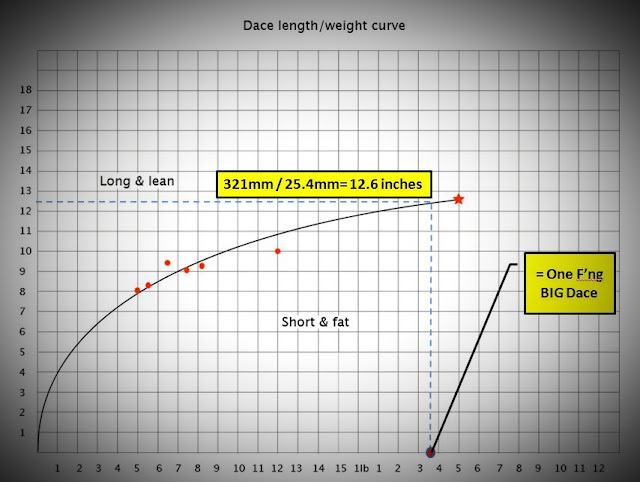 Ok spend an evening in Redditch town centre there are all manner of shapes and sizes to be seen, but we are talking fish here, they all look very much the same, ok the obese protein loaded boilie eating carp are recognisable from one to another, but Chub are a different matter. I had thought it could have been a carp at first but it was silver in colour with dark fins they rules that out, or maybe a Zander surfaced which would have been a first one seen down here, but then I’ve caught plenty of Zed’s to know what they look like. To be honest, I’m none the wiser…. A section of the Warwickshire Avon I used to fish I caught the same Chub multiple times so much so I named him ‘Bob’ now he had odd proportions I suppose but it was the badly Ottered tail that was his fishy fingerprint. So for this quick after work session, dusk and an hour in to dark, I was hoping Frankenstein or 'Bob2' as he shall be known would make another appearance. I was intrigued, can you tell…. Two rods one cheesepaste, one with a chunk of steak. The wind was battering the rods for the whole duration of the trip so it wasn't exactly pleasant, I fished a few swims first after baiting the swim I intended to fish in to and past dusk with a few small balls of cheesepaste. Nothing came of those in the end sadly. The water temperature was 6.7 degrees so a nats nadger lower than it was a couple of nights ago but would hopefully be fine for a Chub later. You see a cormorant came within feet of me when it was passing the middle of the river, and with the colour dropping out far more than I'd hoped I knew dusk is when tings would happen. And what a difference the light made because as soon as dusk came and the moon poking it's head over the horizon the fish became active. Within an hour I had four proper bites on the steak rod, I mean proper foot, foot and a half pulls that never materialised in to anything weirdly. All very frustrating having to strike in to thin air, for some reason a paste cage on a hair with the hook free I never seem to have that issue, the mechanics must be perfect despite the Chub usually putting two fins up to a hair rig. Why wasn't I connecting ? I decided to stay past my allotted time and sure enough a small pull, then a tug and then a foot long bite where the centrepins ratchet was engaged a fish was on. Within a split second though even though I'd caught the bite within a fraction of it happening the fish carted to my left headed towards some thick cover. With as much side strain as I could muster with the rods bent double, the fish did me over good and proper. It had managed to get himself wedged underneath a fallen trunk and the inevitable happened and I lost the fish. The moon by this time had risen so much and now away from the clouds it was beating down on the swim like it was being illuminated by torch light. Maybe that put the fish off and back in to hiding but no more bites were forthcoming after leaving the rods for another fifteen or twenty minutes. On the way home the gritters were out in force, so another cold night, maybe even a frost, so water temps may dip again from its 6.7 degrees tonight. Another blank to add to the many over the winter months. Not all lost though, at least I know where the Chevin call home. Maybe I should take a leaf out of Nic from Avon Angling UK YouTube Channel book and act as a 'feeder' to fatten these fish up, because they are certainly a good stamp that may well get that monkey off my back with just a odd desert to two to go with their main meal. I’ve had in my possession some 15mm boilies with pungent concentrated natural garlic, sausage flavourings with a fishmeal and betaine base mix. Just the smell test, proved that I had no doubt, they would catch fish, heck they smelled good enough to eat if I was peckish and the fish were not welcoming. Garlic is a proven fish catcher and chose a bait to fish for Barbel for ever and a day, garlic flavoured spam would be the default answer. Fish where the shoals usually frequent for a probable bite or maybe a little of the trodden path to try and intercept a loner and bigger fish that has watched his mates that he used to knock around with part their water world because of old age,and hence seek the solitude away from the noisy generations Z’ers. Then Hedwig's Theme played on a Glockenspiel was one of the obscure videos Sam managed to find on YouTube over the weekend and weirdly despite not being a Harry Potter watcher I could relate to it. 'Move on Mick', with a hop a skip and a jump, 'Move on', that’s what the tune was saying to me…. So this session was a quicky after work jobbie, rods made up night before, out an hour before dusk, pva bag of matching crumb and broken un’s and settle down for the witching hour. I like these sessions to be honest because I find being sat behind rods for 5 hours at a time quite tedious, ones restless legs kick in and I find it quite hard to concentrate and my mind wanders. I’m a roving angler at heart and always will be I think, but with dusk getting harder to reach, it gives me more opportunity to fish. When I got bankside the colour had almost gone from the river, and the tinge of green screamed Chub and Zander but hey ho, got to try. 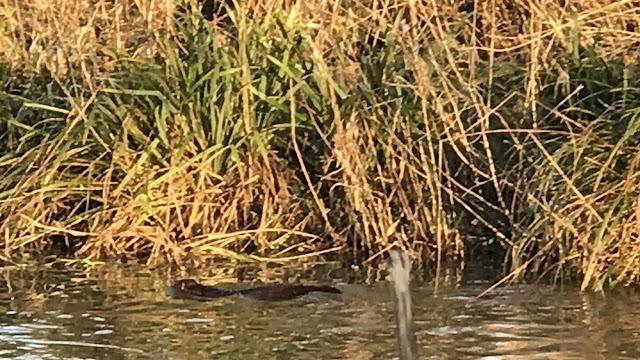 Within minutes I'd spotted a mink patrolling the far bank and then it launched itself in to the water and was heading towards me drifting downstream with not a care in the world. It eventually disappeared in some cover to my left giving me a question I needed to answer. As I was pondering that decision, the left hand rod received a whacking bite that went from stationary to a foot and a half to the right with a split second but sadly I struck in to thin air. 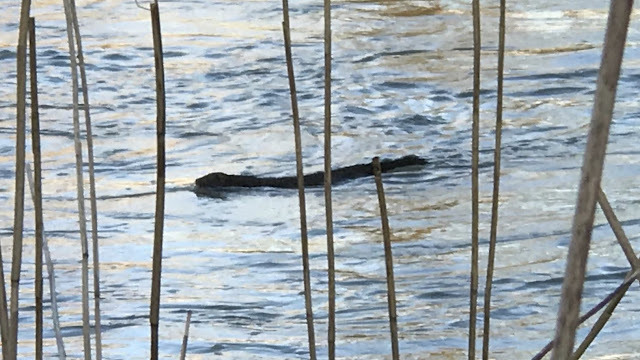 It got me thinking about this season though the explosion of predation I'm witnessing with my own eyes, ok the Otters are back big time, but the amount of cormorants I've seen recently in all the waters I fish is boarding on the epidemic. I spoke to a very nice young lady manning a stall trying to sign people up to the wild life trust whilst I was taking the kids swimming in Stratford-Upon-Avon and she agreed something needs to be done about them too, we need more control for these unwanted pests. So headed in to dusk the moon was bright, the sky clear I had some hope at least a Chub might bite, I'd shortened hairs on both rigs too but despite the plucks and bangs every 5 minutes or so nothing materialised in to a proper full on bite before the clubs rules called time. With the colour how it is and the river unlikely to rise I might try for a Zander and also have a lobworm rig out for a bit of double dipping. Before that though, I've another trip to the Blythe with a couple of friends and I might try and squeeze another quick session after work for the Chub. This month I've fished more than ever and so long it may continue. As I've said before, it keeps me 'relatively' sane. So another blank to add to the collection, it seems I'm not alone in this result though as others have been finding it tough too. Why post about it, well I always like to show the good with the bad, it ain't that easy all of the time. Wife out, meal for one, out with the fish, she’s not a fish eater, well apart from the battered kind, I cannot get enough of it you see, so when the opportunity arises I’m straight on it. The dish well some huge Argentinean Shrimp and a kinda of sea bream that looked like it needed to be eaten. A simple topping of mushroom, chilli, ginger and garlic the meal was quickly polished off. Kids sorted, Youtube subscriptions ticked off, Bed…. Mad Vivid dreams (No blue cheese involved) that culminated in a huge bat coming down and lifting Sam off his feet when we fishing a swim well known to me. It felt all very real indeed. I wake-up bolt upright with blurred vision in my right eye, the silhouette of the bat still in clear view, the Wife returns, my dream shared. So upon a mornings Google'ing this huge bat appeared to be an Ahool, an enormous carnivorous bat that are said to inhabit the rainforests of Java in Indonesia. Believed to have a wingspan in excess of 10 feet. 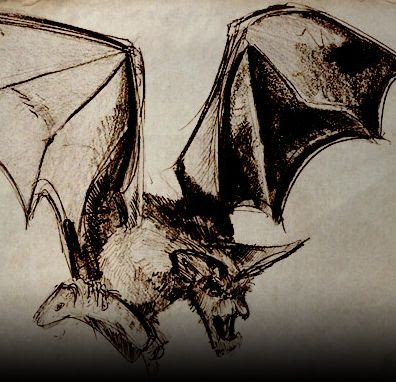 Ahools are said to be covered in a thick brown or black fur like fruit bats, but unlike bats have long, powerful legs and claws and are supposedly capable of pouncing on and snatching up live prey—including humans, if the stories are to be believed—from open ground. Sightings of ahools are often dismissed simply as mistaken glimpses of owls, eagles, and other large birds of prey that inhabit the same rainforests, but some sources claim the creatures do indeed exist, and may even be an isolated and as-yet undiscovered species descended from pterosaurs. So anyway, heck maybe I’ve found my fix, maybe there was something in the meal after all and the sighting of some feeding bats during a quick after work session, unless I’m just susceptible to these things. The gold-striped iridescent fish can be found in temperate waters from the west coast of Africa through to the Mediterranean, and also goes by the scientific name Sarpa Salpa, and is sometimes known as sea bream–which is perhaps important information when ordering at a restaurant in these regions. While there aren’t many modern day reports of folks tripping on salema, there are some–and they’re pretty wild. In 1994, a 40-year-old man felt nauseated about two hours after enjoying fresh baked Sarpa salpa on his vacation on the French Riviera. With symptoms like blurred vision, muscle weakness and vomiting persisting and worsening throughout the next day, he cut his vacation short and hopped in the car, only to realize mid-journey that he couldn’t drive with all the screaming animals distracting him. After about 36 hours–by which time the man had checked himself into hospital–the screaming animals in his head had moved on and the man was perfectly fine, aside from having no memory of what had happened. And judging from other reports of accidental ingestion, 36 hours appears to be about the length of a fish dinner trip. All descriptions suggest nightmarish auditory and visual hallucinations. So why isn’t the dark web full of rogue fishmongers? Yes I have looked, well, it turns out that hallucinations are to Sarpa Salpa what spiciness is to shishito peppers–you can have a plate full of them but it might be that only one will give you that kick that you were looking for. There’s not a huge amount of research on exactly why sea bream are such party fish, but it’s believed that they get their hallucinogenic properties from consuming certain phytoplankton–though another school of thought suggests it is from dimethlytrypthamine (DMT), the same compound found in ayahuasca. It’s possible that only the head carries the toxins, and it’s believed the fish toxicity varies at different times of year. Whatever the case, if you find yourself warding off nightmarish creatures after consuming delicately baked fish in the Mediterranean, now you know the cause. I’m certainly buying some more, I enjoyed it especially when the huge shrimp looked a great bait for Chub. Mick, the fishing, back to the fishing !!!! So for this session I was down at the stretch I'd caught a Barbel recently and the day after a friend Dave had two and lost a few to hook pulls, the biggest a nice double. Rain was forecast in the morning and beyond so it was out with the bat-like umbrella to provide shelter and I’d have a rod out with a Roach deadbait as the Zander should be piling on the weight at the minute and the other rod a chunk of luncheon meat that did the trick last time. Dave joined me for this damp session too, such was the success the day before. Upon getting to the river it had fallen well below the platforms and also the colour was starting to wash out of it too. I just knew it was going to be tough. In-fact not a nibble in 5 hours with sanctuary having to be taken under ones umbrella for most of the session. There just was no interest whatsoever. Dave was fairing better with bread in the feeder and flake on the hook and landed a nice Chub of 4lb 6oz's however he was finding it tough as well, that was is only bite throughout the session. I assume the water temperature had dropped because they were just not interested. The plus point, well I bagged a couple of leads that were tangled around a platform scaffolding. Sunday just gone, the snow came down, that wet stuff that nobody likes, snowmen no chance, cold too, shall we venture out, “Nah !! !” It was a matter of making our own entertainment in the sanctuary of one’s abode, open fire constantly topped up, cockles warm. With Nerf wars and sniper target practice complete, Lego Marvel a few more levels down, Kerplunk and Jenga with Sam the eventual victor, I wanted some peace. 21 days in to dry January, with the Wife just so happened to be riding a very turbulent crimson wave, the noisy kids house bound because of the rubbish weather, it was a testing time over the weekend I tell thee. Even the bottle of Rum seemed to be talking to me "Open Me, Open Me", my resolve and willpower severely tested. Luckily I managed to get through relatively unscathed. In our overcrowded visual culture, perhaps there’s nothing as basic and uncluttered as a simple stick figure. But don’t let their unfussiness fool you, the saga of the stick figure is rich and diverse, but lets no go in to that now, well unless you want a history lesson. Now reading some modern blurb on the matter, Sam is what is categorised as Pre-Schematic (4-7 years). Apparently at this stage, children attempt to create things they see with their eyes. They might draw the simplest things, such as faces, stick figures, cars, trucks, trees, and houses. There are usually no realistic details to these drawings. At the end of the stage, they begin adding in certain things that set their ideas apart, such as flowers in front of a house or clothes on the stick figures. Detailed, careful drawings may reveal a child who feels the need to try very hard. Bold strokes, especially if close together, can be a sign of stress, strong feelings, determination or anger, while softer marks suggest a gentler nature. The quality of line can also be significant – a figure drawn with light, wavering, broken lines, reveals a hesitant, insecure child who appears to think as he goes along. By contrast the bold, continual, freely drawn line is expressive of self-confidence, and a feeling of security. When drawing figures, the size, and the relative size of the figures drawn is considered to be significant, with more important or dominant figures being drawn larger. The absence of arms is sometimes interpreted as indicating timidity, a sign of non-aggressive children, whereas exaggerating the size of the hands is seen as symbolic of aggressive tendencies if the figure is a self-portrait. Likewise, tiny feet are seen as a sign of insecurity, literally an unstable foundation..
Now, ideas on a postcard please, because Sam won't elaborate on his sketch for some reason and having tried to read up about it, nothing seemed to fit so I'll have to interpret it for him. It was a premonition me thinks, fishing in flood water with a red and spicy bait cus it looked like a Chilli, and a turbulent river. I don't need much of an excuse to get riverside these days and this was exactly what I needed.When I've ever fished in this conditions particularly for Barbel I've always done ok to be honest even with Tuesdays blank fresh in my mind. So red baits it was then, one glugged, spicy meat boilie on it's tod with a paste wrap blanket. The other a flavored frozen and refrozen hair rigged piece of meat and the gripper lead filled with paste for extra attraction. The deeper gave 7 Degrees when I got to river quite late, so hopefully the barbel will be feeding, a couple of chaps were bankside and they confirmed they had 4 Barbel quite early in the morning and the rods were motionless during the day until I arrived. I decided to fish a peg I'd not fished before, so two rods positioned in an area of slacker water with a nice uniform pace, just off the main flow which was motoring through still. I find Warwickshire Avon Barbel feed well in the morning and then switch off till just before dusk when conditions are favourable so there was no rush to get the rods in the water. Once settled the rain started to come down and the wind picked up, a mini storm hit for fifteen minutes but luckily it passed. The right hand meat rod eventually had some interest but the way the bait was being pulled it was a Chub trying its best. Maybe I should reduce the hair and stick with smaller baits to see what sort of Chub I can pick up, but if I'm honest, I don't like catching them on Barbel gear. So half an hour before dusk the right hand rod starts to nudge a couple of times, then the tip springs back and then it goes in to a full blown bite only a Barbel can give....A fish is on !!! It powers off downstream and in to the middle of the strong flow taking line and my heart going ten to the dozen, it feels a good fish and not caught one for a while so forgot how powerful they are. A couple or four more powerful runs with the rod bent double I eventually feel in control. It's now swam upstream to not far off my net where it rises out the water to surrender. What a fantastic fight these fit Barbel give. With my arm now aching I've rested in the nest whilst I've sorted the weigh mat, sling and scales out. A pristine fish too, going 8lb 10oz on the scales, a very welcome trip indeed and just goes to show get your timings right and it can work for you like it did for me. The fish rested again and returned safely the rods went back out for another half an hour to official dusk, sadly no more bites were forthcoming so I headed home with a grin. Got to love the Barbel as a species, I certainly won't tire of catching them, next season I plan to trot and use more moving baits for them too, especially when it's summer, shallow and the fishing is tough. As someone apparently emotionally devoid (The Wife) if only she knew about the tears I've shed over trying to get that monkey off my back in pursuit of a 5lb Chub. Not any old Chevin either, one from my patch, my stomping ground, not one far afield. Well more than half an hour away anyway. It ain't getting easier, but recently there has been a glimmer of hope I'm clinging on to. Maybe I should start bottling ones blubbering and do something useful with it, nothing wrong with using a waste product, others use it successfully without an issue. You see next time you hear someone say that their drink tastes like pee, you might want to have them check the label, because Gilpin Family Whisky actually is. The completely drinkable, single-malt alcohol is distilled from the urine of elderly diabetics. Yum? I'd rather not go down the recycling route I need to catch the Leviathan to get that bleeding Monkey Hanger off'a from my back otherwise I may well be talking to the recycled urine, and in big doses most probably.As a dry January, participator, now 23 days down, that probably isn't a wise idea. The last trip to this stretch I couple of 4lb Chub came to the net pretty quickly, not only that but they were quite active up till dusk where a couple broke surface in what seemed like a feeding frenzy and they also seemed a decent stamp of fish. Maybe they were amazed at the feast they were being offered, it was steak and mince after all which for a bloody thirsty and greedy Chevin, it must have felt like a second Christmas dinner, and we all cannot get enough of them can we. For this stupidly short after work smash and grab it was out with the ruby port and cheese afters for this session though, so some festering mouldy cheesepaste on one rod and the other with lobworms which would be swapped with a whitebait come isotope watching as a potential bigger fish tempter. 45 minutes past civil twilight and no more was the plan, more often than not the bites dry up anyway, and to be honest anymore I could feel my shackles being pulled from afar. So anyway, to the session. A drive over the bridge, the river was high and looked over it's banks in places and a couple or three miles further down the road I eventually was at the venue. A short walk luckily because I could have always turned back, but yes, the river had been over it's banks here too, lots of standing water but I could get to the river. I could only fish the first few pegs though as the footpath was blocked with the river being so high. There was plenty of rubbish coming down the river during the session and both rods had to be cast every fifteen minutes or so. A few plucks and nibbles and a few line hits from the odd bat, "yes, they must have woken up" the session which ended an hour past dusk was uneventful. With more rain on the way and the rivers likely to rise, I might put some baits out for Barbel in an area where I know they are in numbers during most of the season, the colour chocolate brown looked ideal as would likely water temperature rises because of the mild weather. With the calendar entries ticked off, I found myself with a longer than normal window of opportunity to fish without the dictation of the diary makers. However I was still at the mercy of my ones fishing mind decision maker…. After mulling it over, and again, and again and once more, the big Warwickshire Avon Chub and Zander could wait and I decided to fish a stretch of the diminutive River Blythe I’ve been meaning to fish for years. After a few pointers from Mark Mole I hatched a plan of attack. I’ve dangled a maggot in this area many a times as a youth, where I’d bike down with my rods strapped to ones frame and fish one of the many pools and lakes this fishery has for anything that would bite. Largely neglected by anglers this relatively short stretch offers classic small-river fishing with smooth glides, deep holes, shallow runs and various fish-holding features to target. The river here is lined with ageing willow trees, most with storm-battered branches reaching into the river, and this restricts the number of areas where you can fish along the three-quarters of a mile stretch. It’s winter though so with many of the forna and thicket died back it’s the best I was going to get. So anyway the Blythe for those that don’t know is a river in the Midlands that runs from Warwickshire,through the borough of Solihull and on to Coleshill. It runs along the Meriden Gap in the Midlands Plateau, is fed by the River Cole and is a tributary of the Tame beside the West Midland Bird Club's Ladywalk reserve. This then joins the Trent, whose waters reach the North Sea via the Humber Estuary. I fished it in other areas not far from here and managed Chub to 4lb 9oz's so decent fish are there to be had, well if our furry or feathered friends haven't got to them first. The river has a wide range of natural geographical features such as riffles, pools, small cliffs and meanders, combined with a high diversity of substrate types ranging from fine silt and clay in the lower reaches to sands and gravels in the upper and middle reaches. The structure of this river is very variable and diverse, and is important as a rare example of such in lowland Britain. The diverse physical features of the Blythe are matched by its diverse plant communities. Botanically, the Blythe is one of the richest rivers in lowland England, with the most species-rich sections containing as many species as the very richest chalk streams. Several damp, unimproved meadows occur along the length of the river, they receive some of their water from annual flooding and are largely dependent upon the river for the maintenance of a high water-table. Oh and by the way it is one of the cleanest rivers in England and the chub are getting big because of the signal crayfish that have made themselves home here…. I’d been watching the river levels on the net and this river can rise and fall very quickly indeed but the levels looked spot on as did the weather, so a plan was hatched. To be honest it’s something I might try and address in the new season because it’s the sort of fishing I love. 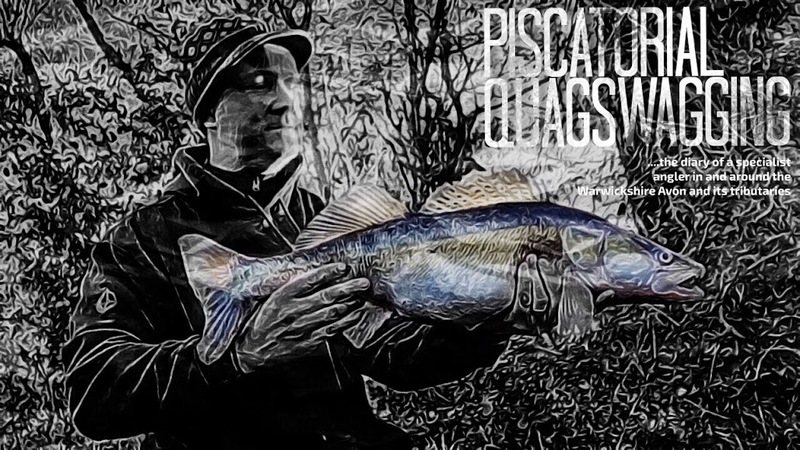 It’s the thought of the unknown that sparks my interest where anglers fail to appreciate the waters they have in their locality and without fishing them, you wouldn’t know if they contain Dace, Chub and Perch of Brobdingnagian proportions. We live in an era of once-Cinderella pastime growing to recognitions and traditionally contemplative art has been somewhat tarnished in a commercial scramble. Angling is seen to be a way of making money, not the pastime itself. One of the greatest attractions in angling lies in the fact that there are no governing rules. No particular physical prowess is called for in order to participate, and one interprets one’s own measure of enjoyment. It is not for the angling writers to tell anglers how best to find their enjoyment but, for me, catching fish is the only part of the parcel that makes angling almost an attitude of mind. If anglers wish to have the convenience of parking their cars on concrete patches right reside their swims, so share somebody else’s transistor radio and to attempt to catch fish in the wash of outboard engines, then obviously, that is how it should be. I know and I believe that many anglers share the sentiment, that this is not my concept of angling. 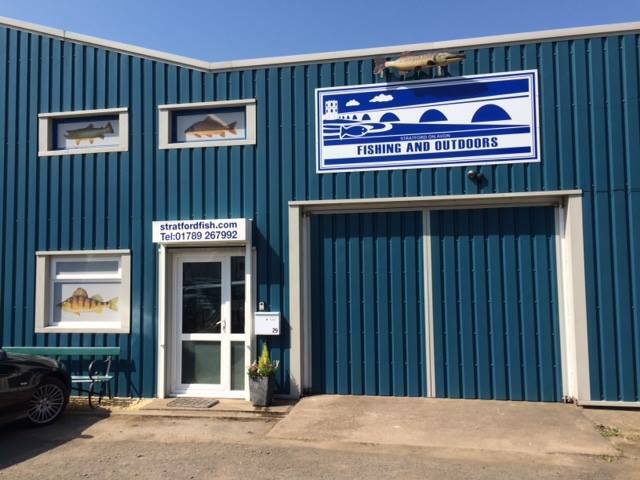 Whilst business consortia supply angling at a level which they think anglers want, and syndicates and large organisations compete for major waters as astronomical prices, we anglers cannot justifiably complain that angling is too expensive or failing to yield the quality of sport we anticipate. Literally thousands of miles of good fishing are neglected by the angler. This average angler thinks that, to contain good fish, the water must be deep or broad, and he has a mental picture of good fishing waters based on reports in the angling press. Too often, I hear anglers complain they do not have access to the right waters. David Carl Forbes had it right on the money in his 70’s Rough River and Small Stream fishing book, it reads true to today, as some of that above was a small extract for what’s on the whole, a decent read. Go and have a look what’s in your back yard, open your eyes and maybe try something new for a change. Forget donning ones seat box, forget the water slapping for a morning and fish with the minimum, get back to basics and you never know what you might find hiding in a water local to you. Anyway back to the session, having only seen some of the stretch from the road it was a bit of a guess what some of the stretch would be like so I sort of hedged my bets a little. Santa brought me a new rod for Christmas that should well be just the ticket. The 10ft Prologic Detek twin-tip has a nice responsive-parabolic action with enough backbone to get a big Chub out a swim if it was snag bound. The tip section is nice and sensitive too for detecting bites and the two 4lb Chub I’d caught recently were landed on it without issue. It doesn't have the quality feel of my usual rod the 11ft 1.2TC TFG River and Stream which is built on a Free Spirit blank but I felt might be a little under gunned if I had to get on top of the fish quickly before it snagged me up, it is a small river after all. Also being a foot shorter it should also be less cumbersome and equipped with a conventional open face reel rather than a centrepin, and any tangles I got because of the windy conditions that were expected would quickly be dispatched. Bait, the standard fare and my usually armoury, lobworms in the main, a few maggots, liquidised bread and cheese paste, and my standard link ledger set-up for easy chop and change. So enough of the preamble, was it worth a trip out? It sure was, weirdly I could get a bite on lobworm but I started at the wooded top stretch, fed a few swims and started downstream in a deeper area with more far bank cover. It's very shallow on the most part and in many places the bottom can be seen, but find the deeper holes, and features the Chub seemed to be about. Cheesepaste was the order of the day it seemed with a lull period around 1.00 to 3.00pm I still managed 7 Chub, the smallest 2lb fish, the biggest 3lb 15oz. When the sun disappeared it was very cold indeed and my hands were suffering so I made my way back the start of the stretch and walked a bit further up from where I had previously tread. There was an elevated swim that looked pretty tasty, a nice crease where the river notably slowed up and also it was home to lots of debris. Within minutes of the bait settling the tip went properly round without any tentative nudges and a fish was on, this felt far bigger than anything else I'd hooked but it was showing me who was boss, despite me giving it as much side strain as I dared with the clutch wound up to near snapping point, it got itself downstream and among a near bank raft which was part of a fallen tree. All goes tight, leave, leave, yeah stuck solid. I managed to get the whole rig back intact minus the paste cage, but it was a fish I really want to see.